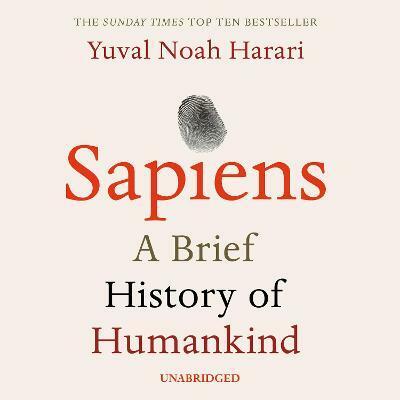 In Sapiens, Dr Yuval Noah Harari spans the whole of human history, from the very first humans to walk the earth to the radical - and sometimes devastating - breakthroughs of the Cognitive, Agricultural and Scientific Revolutions. Drawing on insights from biology, anthropology, palaeontology and economics, he explores how the currents of history have shaped our human societies, the animals and plants around us, and even our personalities. Have we become happier as history has unfolded? Can we ever free our behaviour from the heritage of our ancestors? And what, if anything, can we do to influence the course of the centuries to come?